The F-35 Joint Strike Fighter will be the most technically advanced fighter jet in the world—and one of the most expensive. If we want to be sure we’re getting our money’s worth, it’s important to understand the factors that determine jet fighter costs. 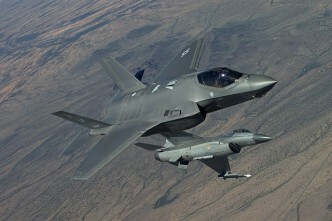 The most recent US Air Force budget estimates a flyaway unit cost for the F-35A of US$92.3 million (2014 dollars) by 2018. Assuming that price to be roughly accurate, the F-35 would still be the second most expensive fighter jet anyone has ever produced—after the F-22, which was so expensive that production stopped after just 187 units out of a planned 750. At present, Australia has committed to purchasing at least 72 of the air force variant of the F-35, with the first four aircraft due to be shipped to Australia in 2018. 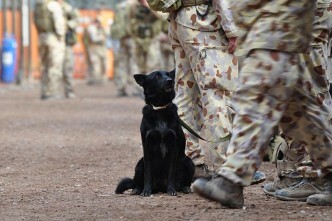 The A$12.4 billion project amounts to over A$175 million apiece, including spares, facilities and training for RAAF personnel. Let’s compare that with Australia’s purchase of the F/A-18 Hornet, delivered between 1985 and 1990. The total project cost for 75 aircraft was A$8.62 billion (2014 dollars), or A$115 million each. 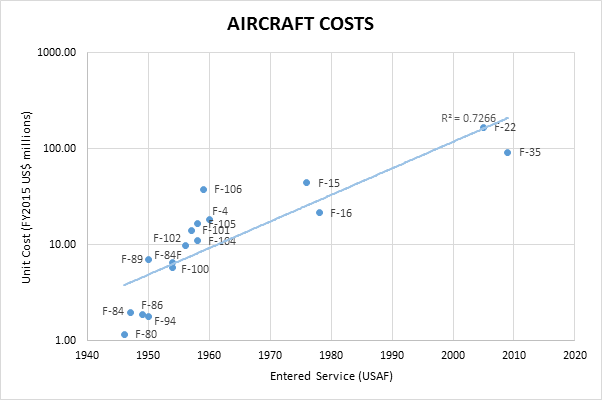 The greater than 50% unit price increase is consistent with a trend that has seen jet fighter costs increase at an exponential rate over the years since the 1950s (see graph below). There are a number of factors that contribute to the increasing cost of jet fighters, which interact in non-linear ways. But the cost climb has resulted in two consequential trends. 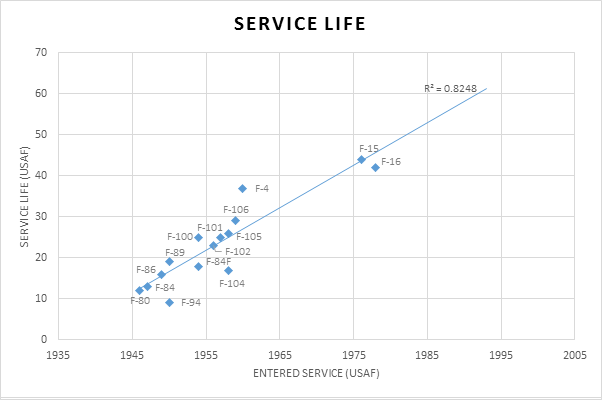 First, the service life of fighter aircraft has steadily increased. For example, by the time Australia receives its first batch of F-35s, the most recent of our F/A-18s will be 28 years old. That compares with the 23 year service life of the Mirages they replaced, which in turn replaced Sabres that served for around 17 years. 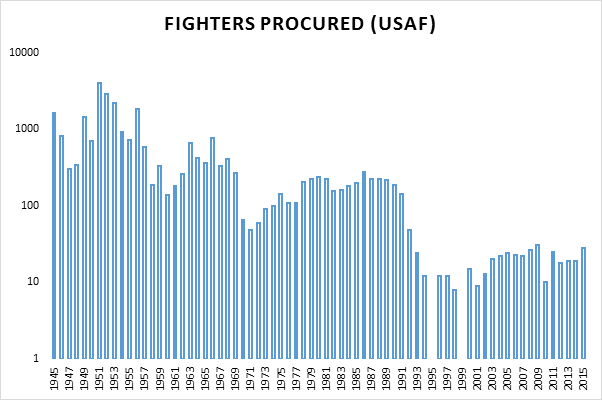 Second, the number of fighters being procured each year has decreased over time as budgets failed to grow as fast as unit costs. One major factor in unit cost is the price of labour. Even if the manufacturing processes for jet aircraft were exactly the same today as they were in the 1950s, the labour would cost more per hour of work. Cheap labour in Asia has resulted in a great deal of manufacturing work moving to the region in recent years, but most of the aerospace industry remains concentrated in countries with higher labour costs. It’s unlikely that the US would ever outsource F-35 manufacturing to China, for obvious political reasons. Material costs are also a factor, and not just for raw inputs. Titanium is a useful example: it’s lighter than steel but stronger than aluminium, and has other properties that make it useful in airframes. It’s already relatively expensive, but the same properties that make it useful can make it a more complicated material to work with. Synthetic and composite materials are also growing in use. Each has its own properties and manufacturing processes. A linear relationship between cost and material is nearly impossible to establish, because each added step in production requires additional engineering and labour that may or may not be affected by the specific material used. Politics can play a role in increasing costs, too. In a rational market, manufacturing would be distributed to maximise efficiency. 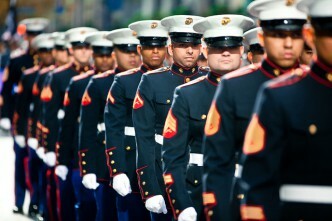 However, large military acquisitions can be good for domestic employment. The effect of production on jobs can be more newsworthy than efficiency. A RAND study into the costs to the UK MoD for domestic assembly of the F-35 showed a premium of up to 40%. 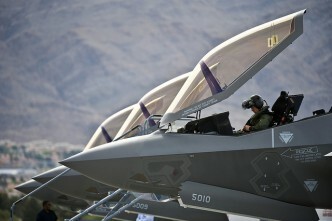 The UK decided against this option, but Italy and Japan have committed to costly domestic assembly of the F-35. 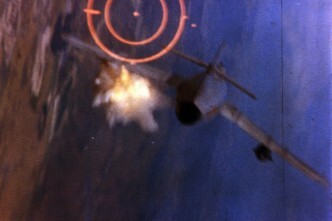 Australia’s decision to assemble the F/A-18 Hornet domestically resulted in a 17% premium. Fifth-generation jet fighters like the F-35 and F-22 have incredibly complex avionics integrated into their systems. In addition to radar and sensor packages, the F-35 includes fly-by-wire, electronic warfare and high speed data-link technologies. 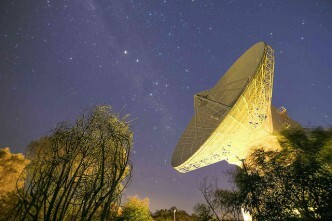 These require additional computing power to manage and software to operate. The F-35 software supposedly comprises some 20-25 million lines of code—over 10 times more than the F-22—and roughly half the length of Windows XP. Software contributes zero additional weight to an aircraft, and yet the labour costs for the F-35 software are likely to be substantial. Here I invoke the words of the immortal Norman Augustine: ‘The last 10 percent of performance generates one third of the cost and two thirds of the problems.’ In the F-35, it’s likely that we’re paying a huge premium for the capability edge we’re hoping for. It’s not clear how good a return on investment we can expect. 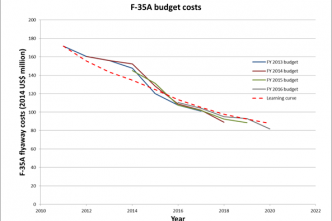 The F-35 is so expensive, it’ll have to last until 2045 to be anywhere near as cost efficient as previous platforms. And there’s a big gamble in assuming that the strategic landscape of 2045 will even remotely resemble that of today. James Mugg is a research intern at ASPI.